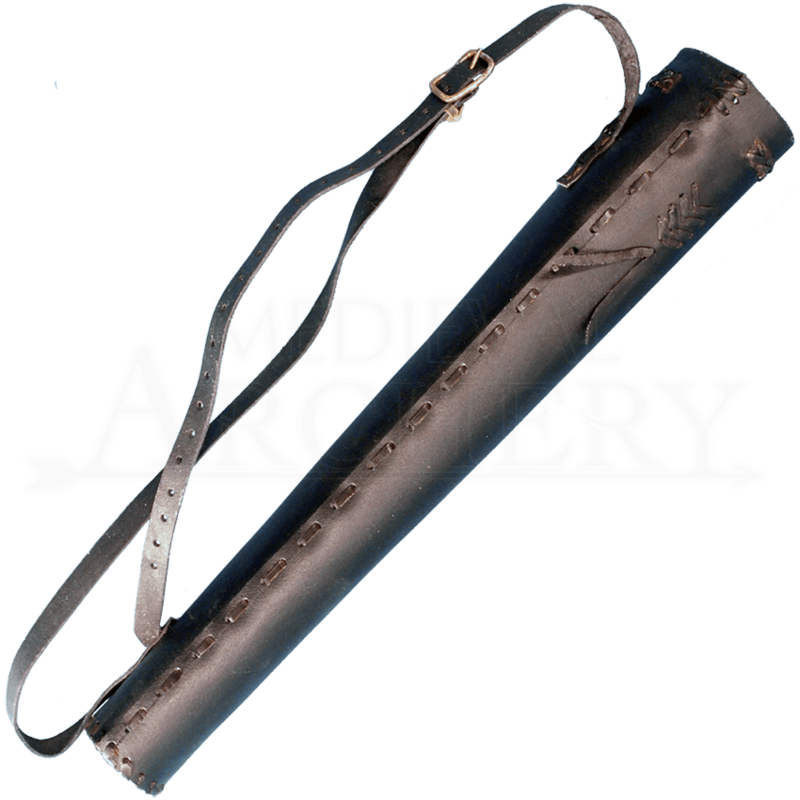 Made from chromed tanned leather, this stylish quiver is perfect for traditional archery or medieval re-enactments. You can use this quiver to hold either LARP arrows or classic arrows, the depth works well for both. A patch of soft, split-leather lines the upper rim of the quiver. Brass-plated iron buckles allow easy adjustment of the shoulder strap. Stitched leather cording strengthens the structure and gives it a nice rustic look. Whether for live action roleplay or traditional archery, keep your arrows close with the Hunters Leather Quiver. The quiver was exactly what my daughter wanted. Color was just slightly darker than shown but internet is like that. Was extremely pleased with the product and how it was made. The item was just as described and arrived quickly! Beautiful item that looks to be made in the traditional way. Nice quality leather with subtle details. Looks great with my renaissance faire costume, haven't used it for actual archery. If you find your medieval, Renaissance, or fantasy outfit lacking in detail, consider the Leather Celtic Gloves. 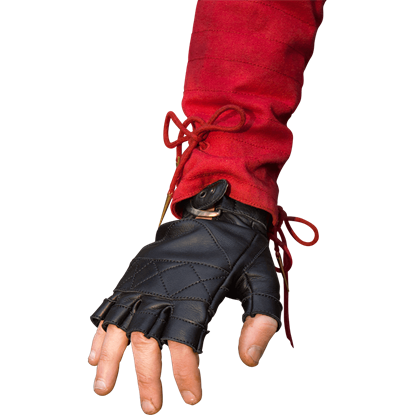 These fingerless leather gloves will take your characters style to the next level, whether at a LARP event or Ren fair. You can never go wrong with the ease, comfort, and style of a tunic like this. 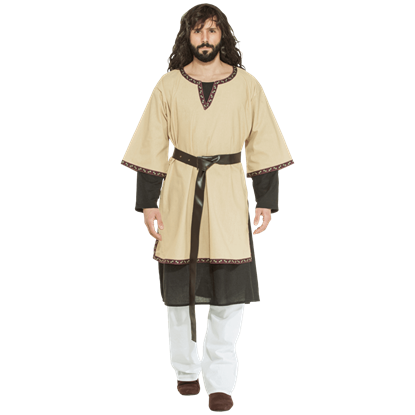 Made of 100 percent cotton fabric, the Basic Medieval Tunic is based on historical styles and features fashionable floral embroidering along all its hems.